TBW. Throw back Wednesday, y'all. 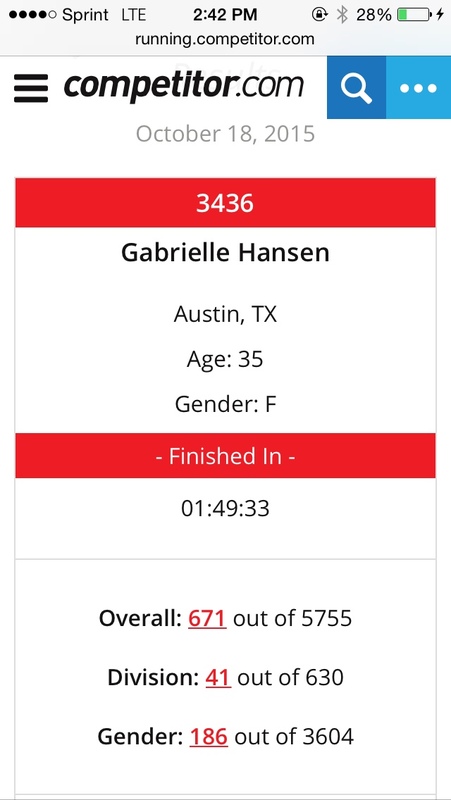 Because I was reading one of my race recaps and I LOVED it! So I'm throwing it back and recapping the Rock n Roll St Louis Half Marathon. 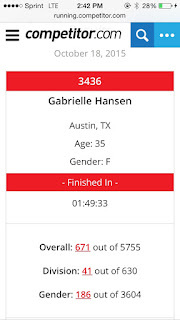 At the beginning of 2015 I put on my bucket list "Run a rock n roll half marathon". You can imagine my surprise when I went on to look at their locations and saw St. Louis was hosting one. On the weekend of Taneal's wedding nonetheless. My goodness, can you say FATE? Fast forward to October 1ish. I'd received Taneal's wedding invitation at least weeks earlier but was dragging my feet on RSVPing. Until I basically got uninvited by the T herself. Apparently that was all I needed- someone telling me I couldn't go- to put me into motion. I bought my plane ticket. I would be in STL that weekend. And while I debated back and forth whether or not I would race, I realized what an idiot I am. So I signed up even though I felt very undertrained. I signed up because I remembered running is supposed to be fun! And although I tell myself all the time that I'm a professional athlete, that I'm not! And holy hell, you put that dumb race on your bucket list and the opportunity is being handed to you with a bow nicely tied around it, and are you really dumb enough not to take it! So that's how I signed up. Fast forward to game day. I hadn't been eating tons that week and was feeling kind of undernourished (sounds so weird, but I really felt like I couldn't eat tons and that I couldn't keep down everything I ate.) I also hadn't slept tons because, hello, I was out of town without kids. Ain't nobody got time for sleep. Saturday night I rolled in about 1 am and set my alarm clock for 5:45 am for the 7:00 start time. Sunday morning I drank a bit of water, had some dry bagel. That's all I remember. Right before the gun went off I popped 2 Ibuprofen. Now my game plan going into the race was to be SMART. Like super smart. Don't get myself in a pickle because I was underfed and under slept and undertrained and if I screwed up early, it would be a miserable race. I thought that I'd probably run at 8:35-9 min average. The first 3 miles I used as warm up and ran without music. I then put on my headphones (first to Rachel Platten's Fight Song and then put on Pandora's Martin Garrixx Animals station). The next 5 miles I let myself pick up the pace but paid attention to my breathing as a gage of what pace I should be going. I didn't want my breathing to sound like interval training! Miles 9 and 10 I let quicker turn over. Last 3 miles I let myself go for it. I ended finishing in 1:49:33 chip time. I was thrilled with that- 8:22 average. I'm learning that I have no idea how training transfers to racing. My expectations are always way off. I definitely deem this my smartest race yet. I paced both my energy and adrenaline casi perfectly. I was never miserable. I felt like I reached my optimal time for the training I'd done which I usually don't tap into. Ahh it was good times! Down side was I ran alone which I'd rather have my people with me before and after the race. But I was glad I didn't let that stop me from doing it. 3 hours later I was on an airplane home. In my dirty running clothes. Hidden nicely under clean warm ups. still in sweaty race clothes underneath it all. i, of course, find my dirty little secret hilarious.